Energy, clarity, alignment. Sometimes we need a boost. In fact, wouldn't it be great if every day we could feel our best? In today's meditation, we recharge body mind and spirit with a morning boost. Remember that this podcast uses audio technology that affects the brain, so please use headphones, and please do not use this podcast while driving or operating machinery. Do you ever just feel great? Balanced, confident, strong, yet relaxed? What if there was a way to cultivate feeling great? To massage our body, mind, and spirit? Through a simple visualization exercise? In today's meditation we cultivate our internal energy for physical healing, mental clarity, and emotional resolution. Based on ancient Chinese practices of qigong energy work, we build up our chi, then move it in a gentle cycle through our bodies. This creates a subtle, gentle, and very powerful healing effect that can balance and strengthen all the body's systems and functions. Remember that this podcast uses audio technology that affects the brain, so please use headphones, and please do not use this podcast while driving or operating machinery. We are not licensed health care practitioners, and we do not claim any specific health benefits from using this podcast. You are responsible for your own health. 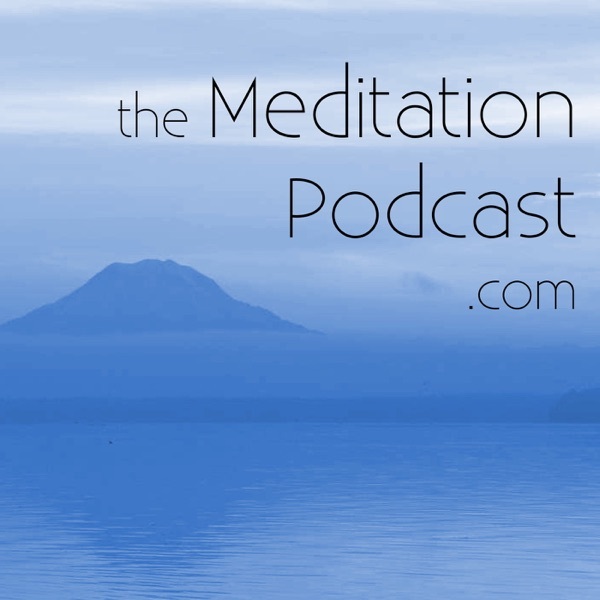 The Meditation Podcast is made possible with great thanks to our subscribers on Patreon. Support our work and join our community at Patreon.com/themeditationpodcast Now, let's begin. We all need to reset regularly. When we become tired, uninspired, exhausted, or depressed, this may be a symptom of our need to restore ourselves, to recharge our drained energy. In today's meditation, we visit our Sacred Space to restore our body, mind, spirit, inspiration, and energy. By simply resting, while in a high vibrational state, we restore our ability to work efficiently, to rest fully, to function in a chaotic world, and to experience our daily lives with full presence and intention. Remember that this podcast uses audio technology that affects the brain, so please use headphones, and please do not use this podcast while driving or operating machinery. We are not licensed health care practitioners, and we do not claim any specific health benefits from using this podcast. You are responsible for your own health. The Meditation Podcast is made possible with great thanks to our subscribers on Patreon. Support our work and join our community at Patreon.com/themeditationpodcast Now, let's begin. As we start the New Year, many of us seek wealth or prosperity: a raise, a new car, a bigger house. Our goals reflect the desire for more money, more things. However, when we seek material prosperity, it's easy to miss the prosperity we already have — such as our health, our friendships, and family. In today's meditation, we recognize our present prosperity in areas including — but not limited to — our financial and physical wealth. By acknowledging our current prosperity, we open the door for more blessings to come our way. Remember that this podcast uses audio technology that affects the brain, so please use headphones, and please do not use this podcast while driving or operating machinery. We are not licensed health care practitioners, and we do not claim any specific health benefits from using this podcast. You are responsible for your own health. The Meditation Podcast is made possible with great thanks to our subscribers on Patreon. Support our work and join our community at Patreon.com/themeditationpodcast Now, let's begin.